Rapid population growth in some Africa’s poorest countries could put future progress towards reducing global poverty and improving health at severe risk, a report by the Bill & Melinda Gates Foundation has revealed. Co-Chairman of the foundation, Bill Gates, said in the Foundation’s 2018 Goalkeepers Report launched yesterday that young Africans were inheriting a continent where fewer and fewer people have to struggle to survive and could instead devote their energy to planning and investing in the future. However, the report disclosed that demographic trends show that over one billion people have lifted themselves out of poverty in the past 20 years, but added that population explosion, particularly in Africa, could be a challenge the decline in the number of extremely poor people in the world, and it may even start to rise. Nigeria was said to have taken over as the country with the highest number of extremely poor people, according to a report by Brookings Institution, thereby overtaking India with a population of 1.3 billion people as against Nigeria’s 200 million. According to the report, the number of Nigerians in extreme poverty increases by six people every minute. 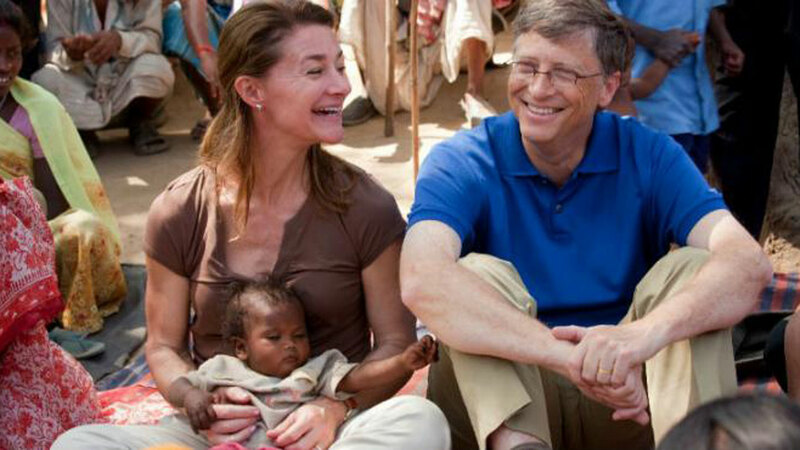 “Population growth in Africa is a challenge,” Gates said on telephone about the report’s findings. It found that poverty in Africa is increasingly concentrated in a few countries, which also have among the fastest growing populations globally. It projected that by 2050 over 40 per cent of world’s extremely poor people will live in the Democratic Republic of Congo and Nigeria. On the best ways of tackling the growing population and poverty challenge, Gates said improving access to birth control was key, adding that this should be combined with investment in health and education of young people. The report, tracked 18 data points on United Nations development goals, including child and maternal deaths, stunting, access to contraceptives, HIV, malaria, extreme poverty, financial inclusion and sanitation. In its family planning section, the report called on policymakers to empower women to exercise their right to choose the number of children they could have, when to have them and with whom. The U.N. data has projected that Africa will account for over half of the world’s population growth between 2015 and 2050, while its population is projected to double by 2050 and double again by 2100.